I am grateful to David Gosman for providing the postcard from the 1920s that I have used on this page. This street dates from 1886. The origin of the name is not clear. This street dates from 1927. This street was named after the Boswall family, who owned the Wardie estate. The street appears to date from the 1840s at the latest. 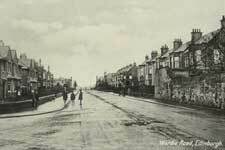 The use of the name continued with streets west of Granton Road in the 1920s. The street did not originally connect directly with Primrose Bank Road – see the 1896 OS map. The connecting section of street had been made by 1933. Challenger Lodge, now used by St Columba’s Hospice, dating from 1830. 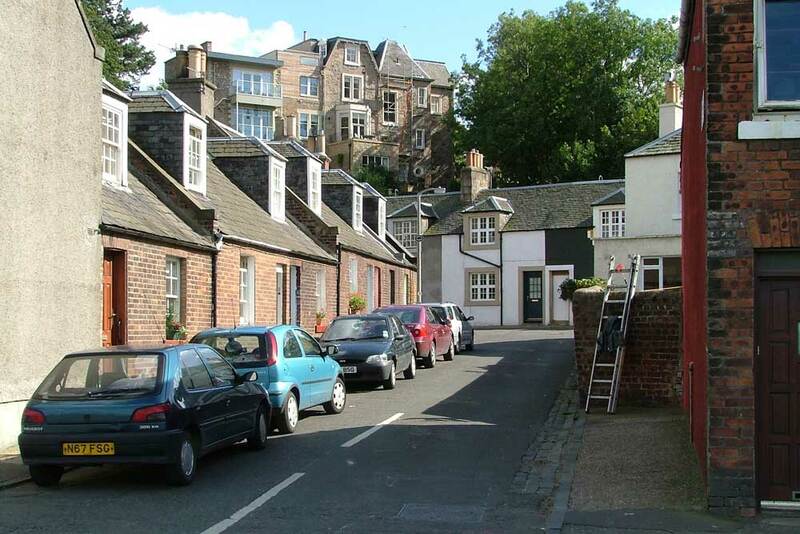 This street, off Granton Road close to the bend at the Wardie Burn, was named after Lufra Cottage, also known as Lufra House. It was built in 1850 by the Duke of Buccleuch as a yachting house, and had a cottage in the garden for a yachtsman. The Duke’s yacht was named Lufra, which had been the name of a dog owned by Sir Walter Scott. This street was named on 27 February 1936. This street was named on 10 November 1955. This street was formed in 1887. The Wardie name is an old one, apparently having been used as far back as 1336. Previous spellings included Weirdie, and the name may mean a beacon or cairn. This reflected the height of the area, allowing a good view of the Firth of Forth. There was previously a Wardie Castle, in existence in 1544, and the area was mainly covered by Wardie Muir, which was largely desolate and unpopulated. This street was in existence in 1867. Wardie Crescent apparently dates from 1853. It originally gave access to Wardie Brick and Tile Works, but more recently provides a route to Boswall Parkway and the streets near it.. This street dates from 1975. This street was named on 22 December 1932. This street was named in 1956. The name is from the adjacent Wardie House, shown on the 1896 OS map. This street was named on 3 January 1924. 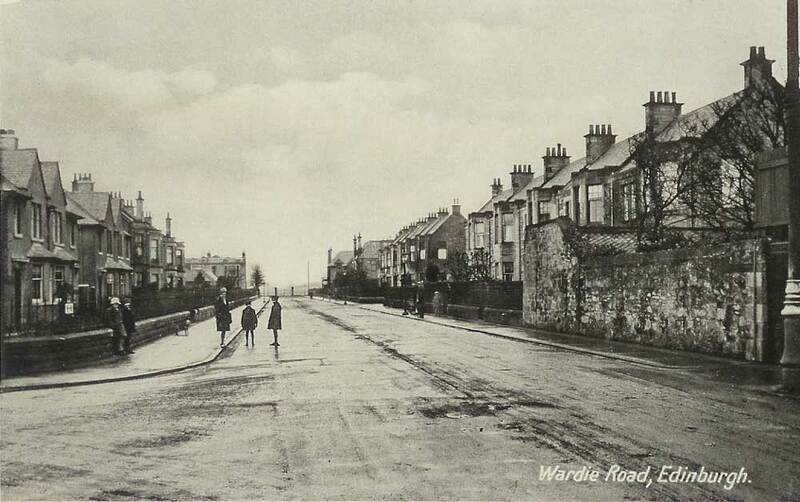 Wardie Square was built along with the East Cottages on Lower Granton Road, by the Duke of Buccleuch. The square dates from about 1840. 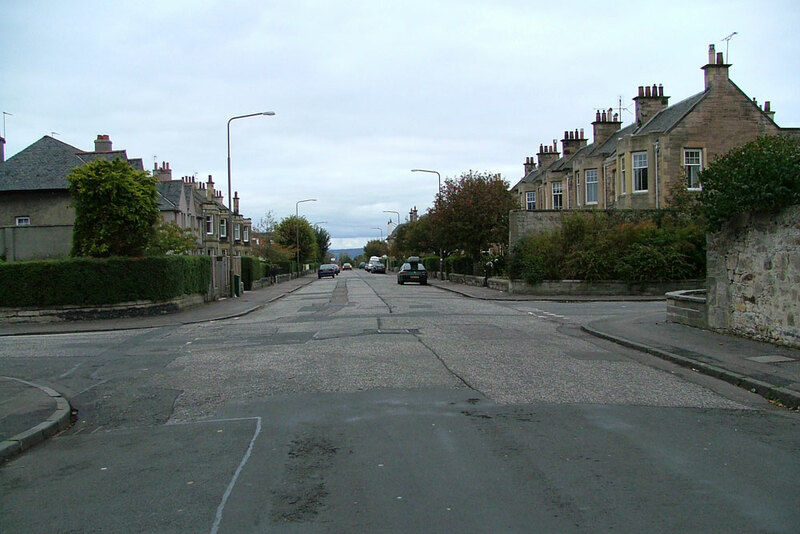 Until 1920, the boundary of Leith passed through Wardie Square, and can still be identified as different paving has been maintained in the two parts. In the part of the square that was outside Leith, one of the buildings served as the County Police Station, the county being Midlothian. The steps, connecting Wardie Square and Granton Road, are shown on the 1896 OS map but may not have been given a name until later. This street dates from 1985.